2017 Results - Thanks all! A big thanks to everyone that participated in the 2017 ride! Results are below - if you have any feedback on the course or layout of the event, please email them to coneazalia@gmail.com. We hope to see you out again in 2018! As you may have heard we're doing an informal Cone-Azalia this Saturday (6/10/2017). This is a dirt road ride, but one that you should be able to do on a road bike. 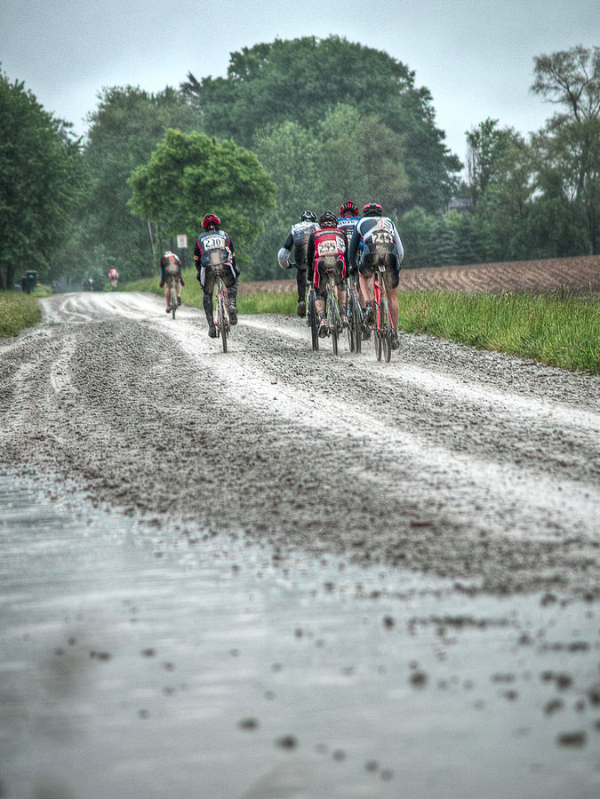 The 52 mile course is relatively tame, the 98 mile course has a few spots with big pot holes and that infamous golf ball sized gravel from years past. We've laid out the routes so that both do the same loop to start with, but for those that want to go longer we've added a second loop. Route maps are below. Details - Both rides will start and finish at Original Gravity Brewery (440 County Street, Milan, MI) at 10:00 AM. Parking is available in downtown Milan, or at Wilson Park (147 Wabash Street, Milan, MI). Restrooms are available at Wilson Park or Morning Owl Coffee downtown. This is first and foremost a ride, but we will be providing a growler to the first man and woman back to the Brewery (each distance). We're planning for water stops at 30 miles, 52 miles, and 82 miles - but you should come prepared with food/water. Make sure you have a spare tube (or two), CO2 and/or pump for your tires. Timing - This is not a race, but we'll be doing electronic timing with bibs and RFID chips. You can pick up a bib starting at 8:30AM day-of. Bib pickup and start/finish will be at Original Gravity. There is no entry fee for this event - it is 100% free! Volunteers - We're still looking for a SAG wagon driver. Email harvey.elliott@gmail.com if you'd like to volunteer. This year marked the 15th running of the Cone-Azalia Classic and brought with it another extraordinarily hard race. Whether it's the golf ball size rocks or the cutting crosswinds this event never fails to impress and we want to once again thank all of our participants. This really is a race for the racers and we truly appreciate you taking the time come out. Overall results are up on USA Cycling along with age group results below. Mark your calendars for next year's race on Saturday, April 8th. We'll be doing a whole new course starting and ending at Original Gravity Brewing Co! This year we've changed the format of the race to offer two distances - a 54 mile starting at 10:00AM and a 27 mile starting at 1:00PM. Also new this year - USA Cycling licenses are optional. If you have a USA Cycling license you get a call-up based on your license category. If not, you're free to race with the open waves/age groups. Thank you - for 14 years of suffering. I wanted to post a thank you to all of the racers, officials, and volunteers who helped to make the Cone-Azalia Classic what it is. The cold winds and relentless rain made 2015 one of the most memorable and difficult races in memory. Early in the week, it seemed like we might actually have a nice day - Sunny and 75F - something that almost seemed unusual for the Cone-Azalia Classic. But then, on Saturday night, the weather turned and we got dumped on in a way much more fitting with the 14 year prior history of the race. During my 8 laps - the chalky white mud of the road plastered my eves shut, the rain wasted no time in soaking through my jersey, and the wind cut through my numb fingers. Still, at least I had my bike and the heat associated with the 300+ Watts I was pumping into the pedals. Our officials and volunteers are the real heroes of the day. The men and women manning the corners and intersections - standing still in that cold horizontal rain. We couldn't have done it without you. Thank you all for coming out and sharing the glory and the misery of this day. I hope to see you all again next year and we'll have to wait see what year 15 has in store for us.